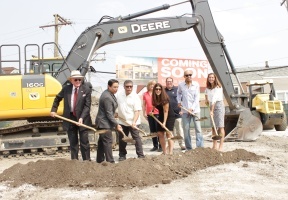 On Tuesday, Aug. 14th, the groundbreaking ceremony took place where the fifth McDonald’s of owner-operator Phil Fuentes will be built in the Back of the Yards neighborhood. Mr. Fuentes reaffirmed his commitment to the economic growth of the area and to offer convenience to the people in the area. 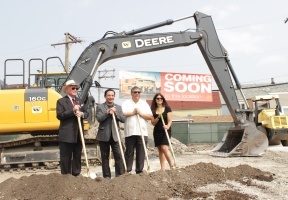 The restaurant will be located at 2844 W 47 St and is expected to open for business in December. In attendance were Aldermen Edward M. Burke and Raymond Lopez, who expressed how pleased they were to be able to collaborate with McDonald’s in developments that will contribute jobs to this area that is currently growing. Also present were Judith Frydland, Department of Buildings Commissioners, members of the Back of the Yards Neighborhood Council, members of the Fuentes family and McDonald’s staff.